You feel rather unusual when you get from noisy streets of Sochi into the real mysterious Eastern corner. 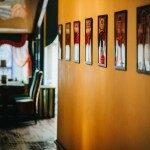 Popular café «Tyubeteyka» is ideal combination of eastern juiciness and contemporary service. Here you can get acquainted into the oriental hospitality. 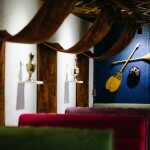 «Tyubeteyka» is the best café in Sochi that is performed in the classic oriental style. The staff always can find something that would surprise regular guests. 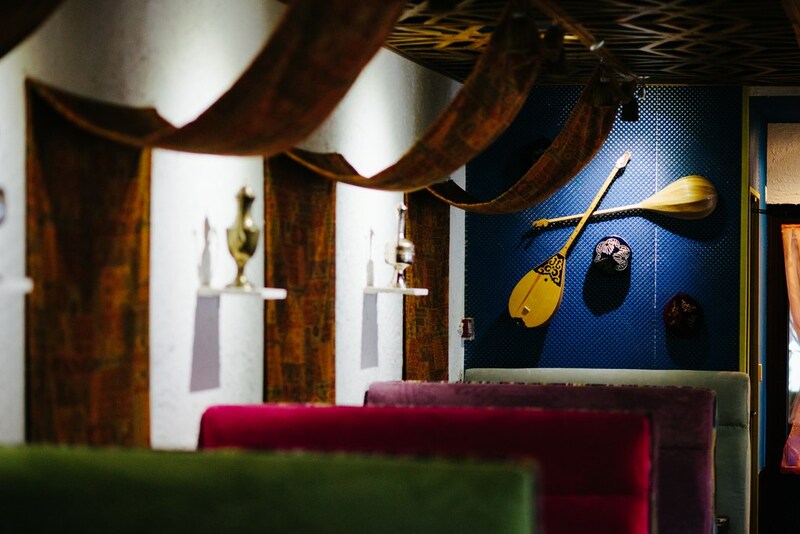 Café «Tyubeteyka» is rather inexpensive place in Sochi, where all the details match traditions of the Eastern culture: distinctive ornament, fabrics, ceramics and all the best dishes of oriental cuisine. Here you can taste such meals as shurpa, Lagman, manti, pilaf, Bukhara samsa. Besides of that, Chief offers guests traditional russian dishes: pelmeni, borsh, vareniki and different kinds of porridges for the breakfast. Special salads, hot meals and, of course, dishes from home-made dough can satisfy the taste of any gourmet. All traditional meals are cooked according to the old receips with authentic ingridients. 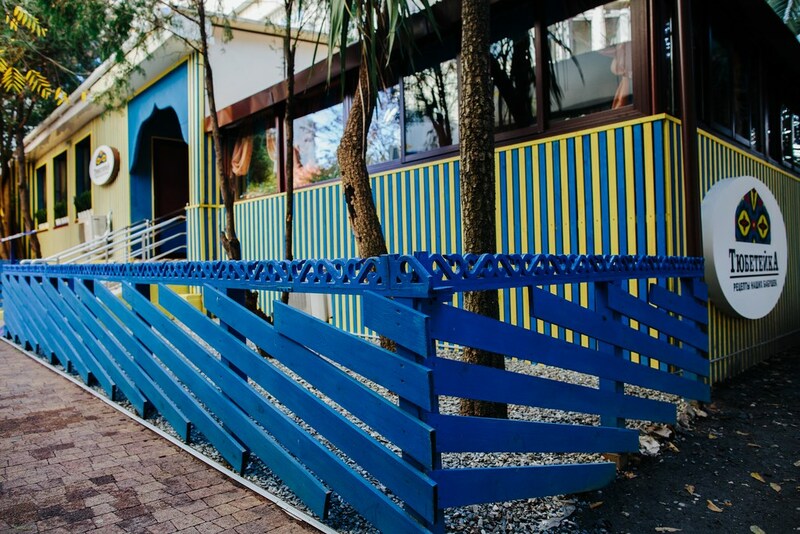 This oriental café in the center of Sochi offers guests an excellent opportunity to taste meet and vegetables, that are cooked on the grill and barbeque. There is one unusual feature about it – meals are cooked on the stones from a real volcanic lava! All together, offered assortment of oriental and European cuisines may impress the most of visitors. 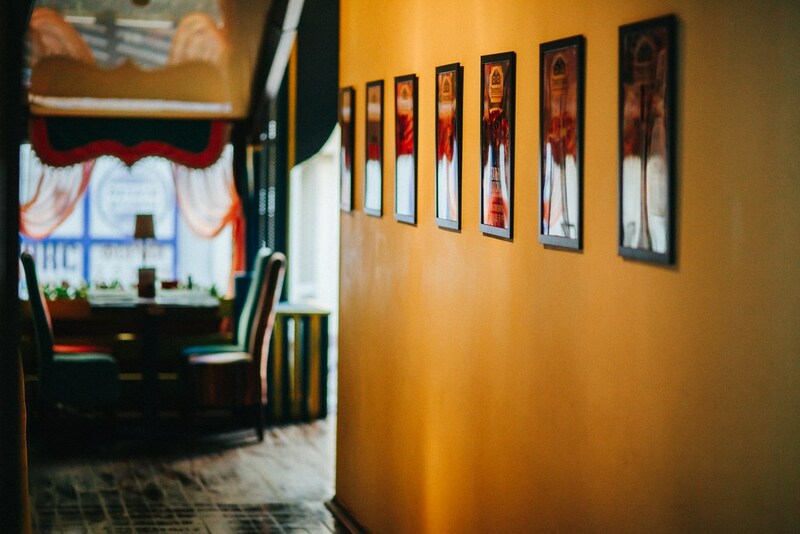 «Tyubeteyka» is also café for children, because there is a special menu for kids, that was made with love for the most little of us. The main rule of cuisine in an exseptional freshness of all ingredients, that are personally purchased by the Chief every morning in the farmer market. And of course all the dishes are not just amazingly tasty, but also aesthetically attracted. Special drinks would be an excellent supplement to the tasty desserts, such as chak-chak, turkish delight and baklava. Peaceful atmosphere of café will help you relax and have a memorable evening! Cuisine: European, Grill, Middle Eastern, Russian. Suitable for: Child-friendly, Local Cuisine, Cheap Eats.